Titles coming to the Criterion Collection in July 2019 will include Michael Radford’s 1984, Spike Lee’s Do the Right Thing, the Jane Fonda starrer Klute, Agnieszka Holland’s Europa Europa, the 1938 comedy The Baker’s Wife and a Blu-ray edition of Rainer Werner Fassbinder’s BRD Trilogy. The set includes new 4K digital restorations of The Marriage of Maria Braun and Lola, with uncompressed monaural soundtracks; a high-definition digital restoration of Veronika Voss, with uncompressed monaural soundtrack; audio commentaries from 2003 featuring filmmaker Wim Wenders and cinematographer Michael Ballhaus (The Marriage of Maria Braun), film critic and author Tony Rayns (Veronika Voss), and film scholar Christian Braad Thomsen (Lola); interviews with actors Hanna Schygulla, Rosel Zech,and Barbara Sukowa; interviews with cinematographer Xaver Schwarzenberger, screenwriter Peter Märthesheimer and film scholar Eric Rentschler; Life Stories: A Conversation with R. W. Fassbinder, an interview filmed for German television in 1978; I Don’t Just Want You to Love Me, a feature-length 1992 documentary on Fassbinder’s life and career; Dance With Death, a program from 2000 about Ufa studios star Sybille Schmitz, Fassbinder’s inspiration for the character Veronika Voss; a conversation between author and curator Laurence Kardish and film editor Juliane Lorenz; trailers; plus an essay by film critic Kent Jones and production histories by author Michael Töteberg. Also due July 9 on DVD and Blu-ray is 1990’s Europa Europa, the story of a 16-year-old German Jew separated from his family during World War II. The release includes a new 2K digital restoration supervised by director Agnieszka Holland, with uncompressed monaural soundtrack on the Blu-ray. Extras include an audio commentary from 2008 featuring Holland; new interviews with Holland and actor Marco Hofschneider; a new video essay by film scholar Annette Insdorf; a new English subtitle translation; and an essay by critic Amy Taubin. Due July 16 (order date June 18) on DVD and Blu-ray is 1971’s Klute, starring Jane Fonda as a call-girl and aspiring actress who becomes the focal point of a missing-person investigation when detective John Klute (Donald Sutherland) turns up at her door. The release includes a new, restored 4K digital transfer, supervised by camera operator Michael Chapman, with uncompressed monaural soundtrack on the Blu-ray. 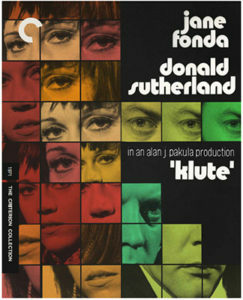 Extras include a new conversation between actors Jane Fonda and Illeana Douglas; a new documentary about Klute and director Alan J. Pakula by filmmaker Matthew Miele, featuring scholars, filmmakers, and Pakula’s family and friends; “The Look of Klute,” a new interview with writer Amy Fine Collins; archival interviews with Pakula and Fonda; “Klute in New York,” a short documentary made during the shooting of the film; plus an essay by critic Mark Harris and excerpts from a 1972 interview with Pakula. 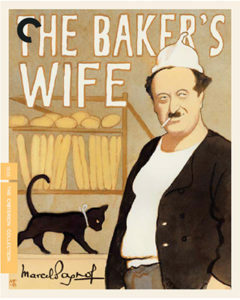 Also arriving DVD and Blu-ray July 16 is The Baker’s Wife, a comedy from playwright turned cinema auteur Marcel Pagnol, who draws a vivid portrait of a close-knit village where the marital woes of a sweetly deluded baker (Raimu) snowball into a scandal that engulfs the entire town. The release includes a new 4K digital restoration, with uncompressed monaural soundtrack on the Blu-ray. Extras include selected-scene audio commentary featuring Pagnol scholar Brett Bowles; an introduction by Pagnol from 1967; an excerpt from a 1966 interview with Pagnol for the French television series “Cinéastes de notre temps”; a short French news program from 1967 revisiting the village of Le Castellet, where the film was shot; a new English subtitle translation; plus an essay by film scholar Ginette Vincendeau. 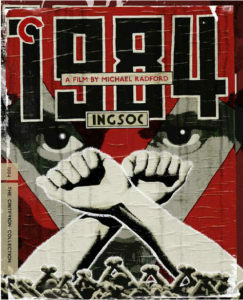 Arriving July 23 (order date June 25) on Blu-ray and DVD is 1984, an adaptation of the George Orwell novel starring John Hurt and Suzanna Hamilton. 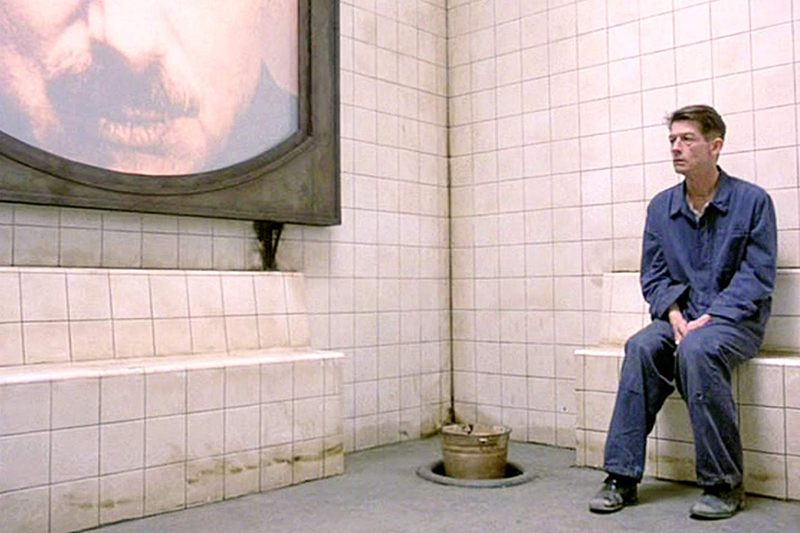 The release includes a new 4K digital restoration supervised by cinematographer Roger Deakins, with uncompressed monaural soundtrack on the Blu-ray. Extras include new interviews with director Michael Radford and Deakins; a new interview with David Ryan, author of George Orwell on Screen; behind-the-scenes footage; the film’s trailer; and an essay by writer and performer A. L. Kennedy. 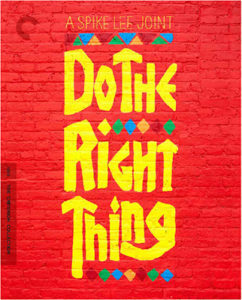 Also arriving July 23 on Blu-ray and DVD is 1989’s Do the Right Thing. The release includes a new 4K digital restoration approved by cinematographer Ernest Dickerson, with 5.1 surround DTS-HD Master Audio soundtrack on the Blu-ray. Extras include audio commentary from 1995 featuring director Spike Lee, Dickerson, production designer Wynn Thomas, and actor Joie Lee; introductions by Spike Lee; “Making Do the Right Thing,” a documentary from 1988 by St. Clair Bourne; new interviews with costume designer Ruth E. Carter, camera assistant Darnell Martin, New York City Council Member Robert Cornegy Jr., and writer Nelson George; an interview with editor Barry Alexander Brown from 2000; programs from 2000 and 2009 featuring Lee and members of the cast and crew; a music video for Public Enemy’s “Fight the Power,” directed by Spike Lee, with remarks from rapper Chuck D; behind-the-scenes footage; the Cannes Film Festival press conference from 1989; deleted and extended scenes; original storyboards, trailer, and TV spots; Plus an essay by critic Vinson Cunningham, and (on the Blu-ray) extensive excerpts from the journal Lee kept during the preparation for and production of the film. Season two of “2 Dope Queens,” Jane Fonda in Five Acts and O.G. are among the titles coming in March from HBO Home Entertainment. Available for digital download March 11 is Swiped: Hooking Up in the Digital Age, which looks at online dating, offering revelations about the billion-dollar industry. The film features interviews with, among others, Jonathan Badeen, co-founder and CSO of Tinder; Whitney Wolfe Herd, founder and CEO of Hinge; and Mandy Ginsberg, CEO of Match Group, which owns Tinder, OkCupid and other dating sites. Available March 25 for digital download is O.G. Filmed in Indiana’s Pendleton Correctional Facility, an active maximum-security prison, O.G. follows Louis (Jeffrey Wright), once the head of a prominent prison gang, in the final weeks of his 24-year sentence. His impending release is upended when he takes new arrival Beecher (Theothus Carter), who is being courted by gang leadership, under his wing. Coming to grips with the indelibility of his crime and the challenge of reentering society, Louis finds his freedom hanging in the balance as he struggles to save Beecher. Season two of “2 Dope Queens” will also be available for digital download March 25. The two return in four specials with some of their favorite stand-up comedians, including Rory Scovel, Solomon Georgio, Bowen Yang, Jamie Lee and Pat Brown, along with celebrity guests, to talk music, nostalgia and fashion. Available for digital download March 25 and on DVD March 26 is Jane Fonda in Five Acts, about the Oscar-winning actress who has lived a life marked by controversy, tragedy and transformation in the public eye. 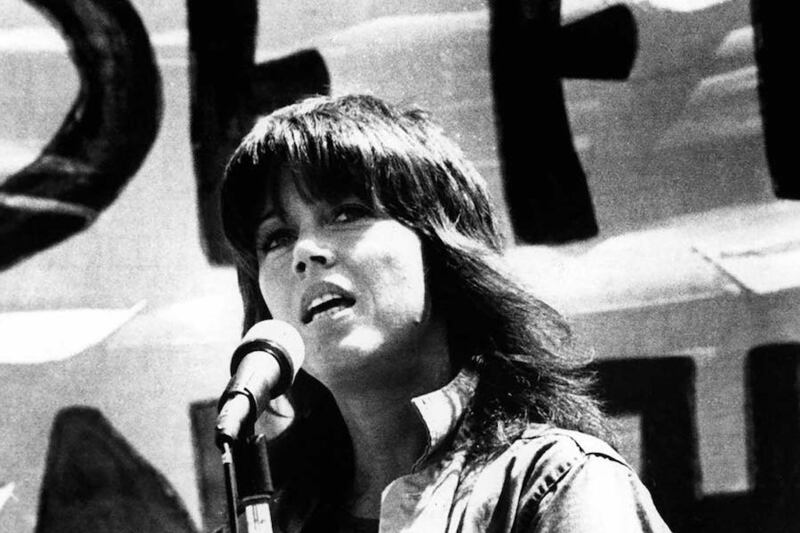 Fonda has been vilified as Hanoi Jane, lusted after as Barbarella and heralded as beacon of the women’s movement. Finally, due on DVD March 26 is Camping, starring Jennifer Garner and David Tennant as Kathryn and Walt, a not-so-happily married couple. A meticulously planned outdoor trip to celebrate Walt’s 45th birthday is derailed by uninvited guests and forces of nature, turning the weekend in a test of marriage and friendships. 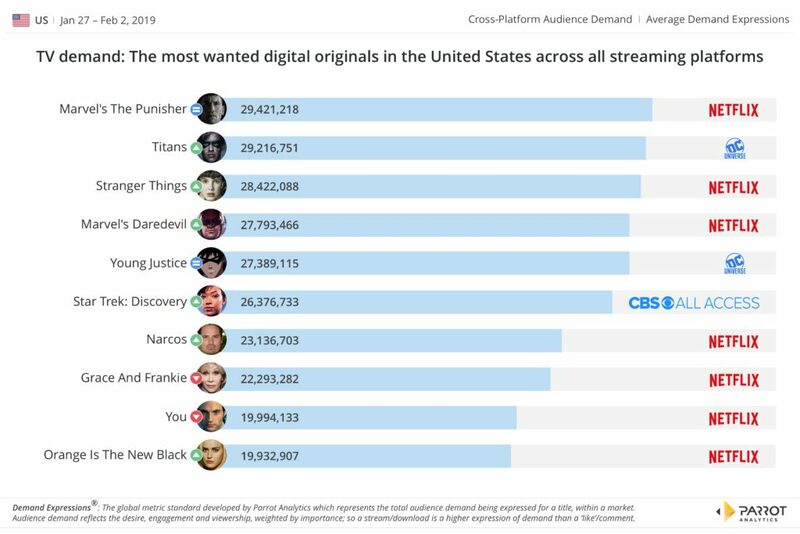 Netflix viewership may have taken a hit during the Super Bowl, but the subscription streamer continues to dominate the digital originals chart, locking up seven of the top 10 spots the week ended Feb. 2, according to Parrot Analytics. 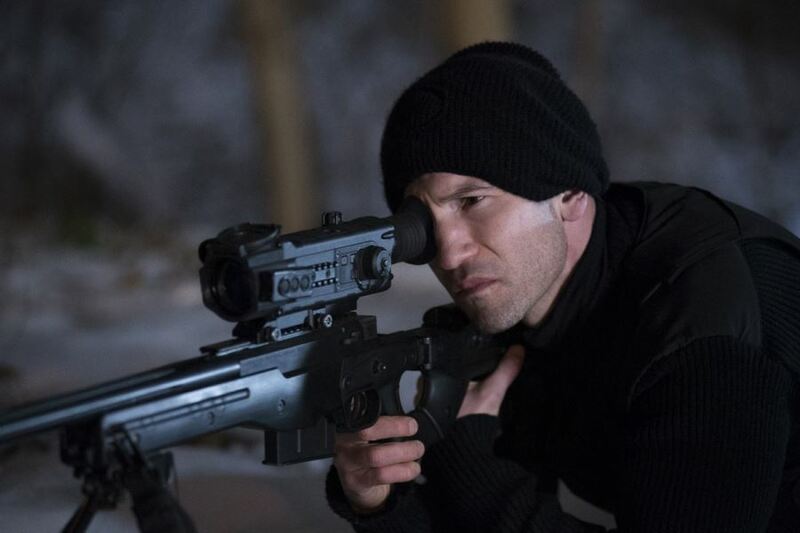 “Marvel’s The Punisher” remained in the No. 1 spot, even though the superhero series suffered a 15.8% decline in average daily Demand Expressions from the prior week. Attribute its staying power to the fact that it is the only Marvel series on Netflix that is currently airing new episodes. “Titans,” from DC Universe, rose to No. 2 from the prior week despite a 5.5% decline in demand. That’s because last week’s second-place finisher, Netflix’s “Grace and Frankie,” plummeted to No. 8 with a 28.4% drop in demand. The week before its No. 2 debut in the top 10, “Grace and Frankie” – a comedy with Jane Fonda and Lily Tomlin – had been No. 15. Demand for the series spiked after season 5 launched on Netflix on Jan. 18. “Titans” and its companion series, “Young Justice,” had topped the charts the week that ended Jan. 19, but both are now going into hiatus. “Young Justice” remained at No. 5, with a 4.4% drop in average daily Demand Expressions. Lightyear Entertainment, in partnership with Fonda Inc., has announced the release of two of the best-selling fitness videos of all time on DVD and digital Dec. 18 — Lean Routine and Lower Body Solution — starring workout video pioneer Jane Fonda. The DVDs will be released in the U.S. and Canada through MVD Distribution. Lower Body Solution is a complete workout for abs, buns and thighs. Adaptable for all fitness levels, the low-impact choreography is user friendly to beginners, while optional bench aerobics add variety and challenge for intermediate and advanced exercisers. Lean Routine is a fat-burning workout with low impact high energy aerobics, applicable for beginners through advanced. “Who knew that this many years later people would still be doing The Workout, but they are,” said Jane Fonda in a statement. Both programs have been digitally remastered and color corrected. Stuart Karl, the founder of Video Store Magazine (the predecessor of Media Play News), first released Fonda’s workouts in the early days of the video business. Among major studios, Paramount Pictures has taken an outsized share of fiscal hits in recent years — only generating its first operating profit since 2015 in March. Speaking Sept. 12 at Goldman Sachs 27th Annual Communacopia confab in New York, Bob Bakish, CEO of corporate parent Viacom, said Paramount is a very different place today — thanks in part to a trio of theatrical hits and increased television content production, among other initiatives. Specifically, low budget titles A Quiet Place and romantic comedy Book Club, together with Mission: Impossible – Fallout, the sixth installment in the Tom Cruise-starring franchise, overperformed at the box office – with A Quiet Placeand Book Club now generating significant sellthrough revenue. 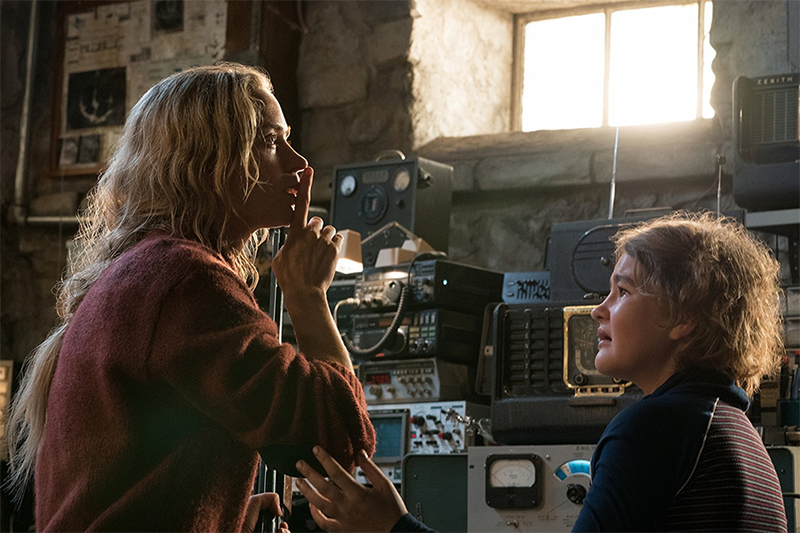 Indeed, A Quiet Place grossed more than $188 million domestically, making it the second-highest grossing horror film in the U.S. over the past decade. The film has earned more than $332 million worldwide with a production cost of approximately $20 million. 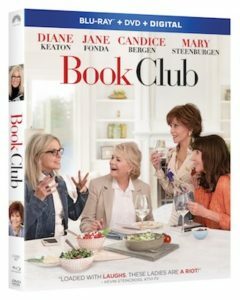 Released in May 2018, Book Club earned more than $68 million at the domestic box office — more than six times its $10 million acquisition cost. The titles were released in retail (digital and physical) channels on July 10 and Aug. 28, respectively. “Both those films are killing it in transactions for us right now,” Bakish said. The executive said that when combined with the global box office of Fallout– the largest in Mission: Impossible franchise history, Paramount has turned the fiscal corner. “Take those three things together, and there’s no question the [Paramount] mountain is back,” Bakish said. In addition to movies, Paramount Television has upped content production from nine series on broadcast and online to 16 shows this year and is poised to generate $400 million in revenue. Notable series include “13 Reasons Why” for Netflix; “The Alienist” for TNT and “Tom Clancy’s Jack Ryan” from Amazon Prime Video. 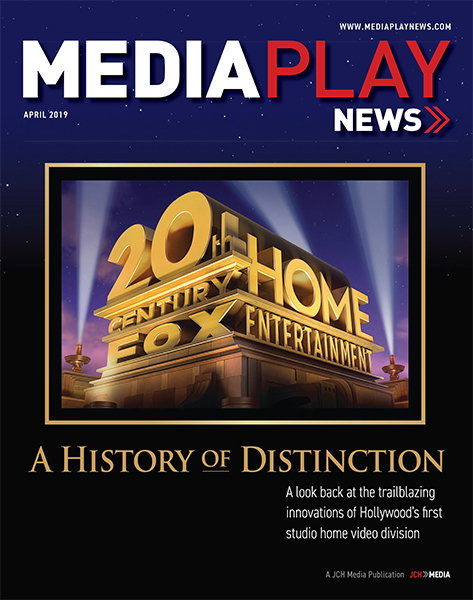 Original movie production for third-party SVOD players has begun with announcements pending, according to Bakish. What Viacom is not doing is developing a mass market SVOD service to compete with Netflix. Instead Viacom is approaching over-the-top video with strategy targeting niche SVOD services such as Noggin.com and distribution through third-party platforms such as Amazon Channels. Viacom is launching an ad-supported OTT video service featuring library content, and creating third-party licensed content featuring Viacom brands MTV, Nickelodeon, Comedy Central, BET, etc. Bakish says its “part promotion, part revenue,” with digital initiatives produced under Viacom Digital Studios, which launched nine months ago. “We’re feeling very good about the momentum we have going into the [current] fourth quarter. We are very focused on operating the assets we already own. It’s a quest for scale both inside and outside the company,” he said. 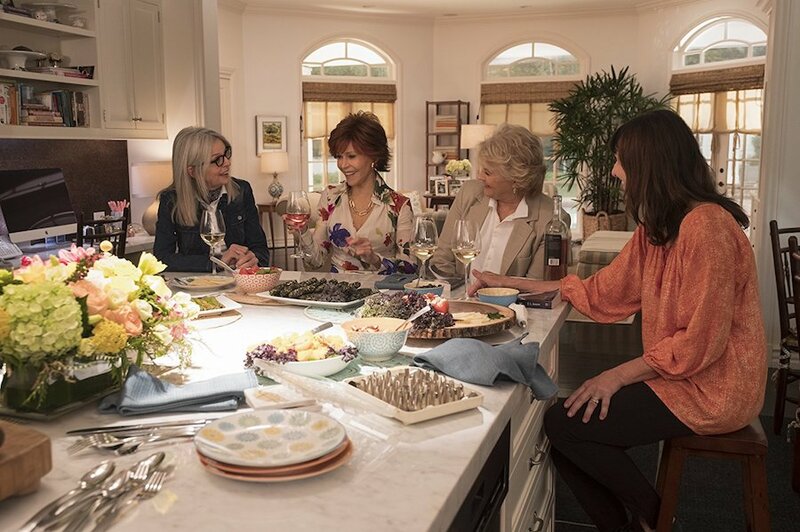 Book Club, starring Diane Keaton, Jane Fonda, Candice Bergen and Mary Steenburgen, will be released on digital Aug. 14 and on Blu-ray Combo Pack and DVD Aug. 28 from Paramount Home Media Distribution. In the film, Keaton, Fonda, Bergen and Steenburgen star as four lifelong friends whose lives are turned upside down when their book club attempts to shake things up by tackling the infamous Fifty Shades of Grey. Book Club also stars Andy Garcia, Don Johnson, Craig T. Nelson, Richard Dreyfuss and Ed Begley Jr. Bonus features on the Blu-ray Combo Pack (with a digital copy and DVD of the film) include deleted and extended scenes, interviews with filmmakers and cast, explorations of the writing and casting process, and behind-the-scenes footage from the set. Hollywood’s age cap on conventional female attractiveness has always been unfairly low when compared to male actors. Netflix appears to be disrupting this industry norm as well. 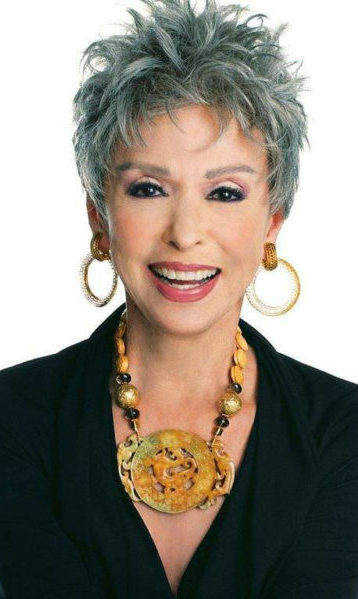 It just launched a 13-episode reboot of Norman Lear’s long-running 70s-80s sitcom, “One Day at a Time,” co-starring 87-year-old Rita Moreno as an “old-school” Cuban-born mom who hardly looks or acts her age. The SVOD behemoth earlier this month bowed season four of acclaimed comedy, “Grace and Frankie,” co-starring timeless Jane Fonda (who just turned 80) and 79-year-old Lily Tomlin. Both actors shine with their 77-year-old male counterparts, Martin Sheen and Sam Waterston. But they’re all “teens” compared to Betty White, who at age 96 has inked a deal to reprise her role in a reboot of “The Golden Girls.” The original 80s series co-starred Bea Arthur, Estelle Getty and Rue McClanahan, all of whom have died. It’s a strong statement in an industry obsessed with youth and millennial indifference toward tradition. A Time magazine study found female actors’ careers peak at age 30 in the number of roles available, compared to age 46 for male actors. The study found that while Sandra Bullock generated more paying roles (14) than George Clooney (2) at age 29 – at age 38, Clooney generated 11 roles compared to six for Bullock. To watch Moreno guest-star on an episode of “Grace and Frankie” is to watch time stand still. In a career that spans almost 70 years, Moreno held her own among strong personalities Fonda, Tomlin, Marsha Mason (75) and Swoosie Kurtz (73). Indeed, series creator Marta Kauffmann (“Friends”) has made a point to comedically showcase yesterday’s female (and male) stars coming to grips being seniors in a tech-savvy age — a dilemma no one can escape. But will Hollywood take note? Michael Pachter, media analyst at Wedbush Securities in Los Angeles, says that while Netflix is again pushing the envelope, he believes Fonda, Tomlin, Moreno and White are outliers in an industry still preoccupied by youth. “The biggest appeal of age is relatability to the target audience, so I presume these actors resonate with a demographic that Netflix is trying to capture,” Pachter said.